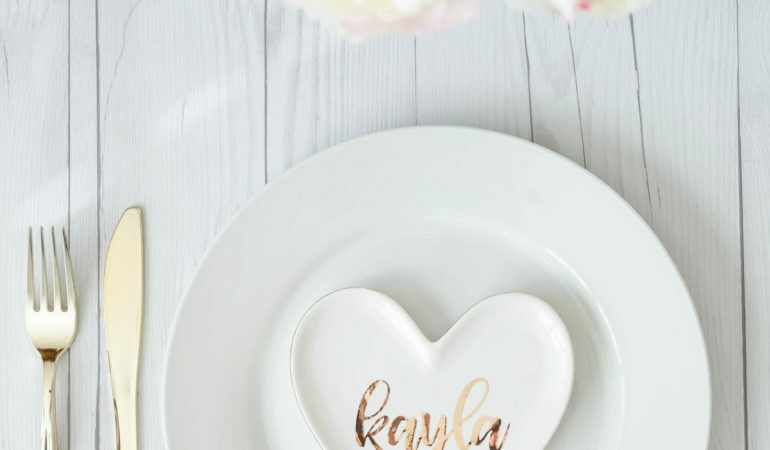 This Valentine’s Day table setting is as easy as can be. No fancy frills needed! 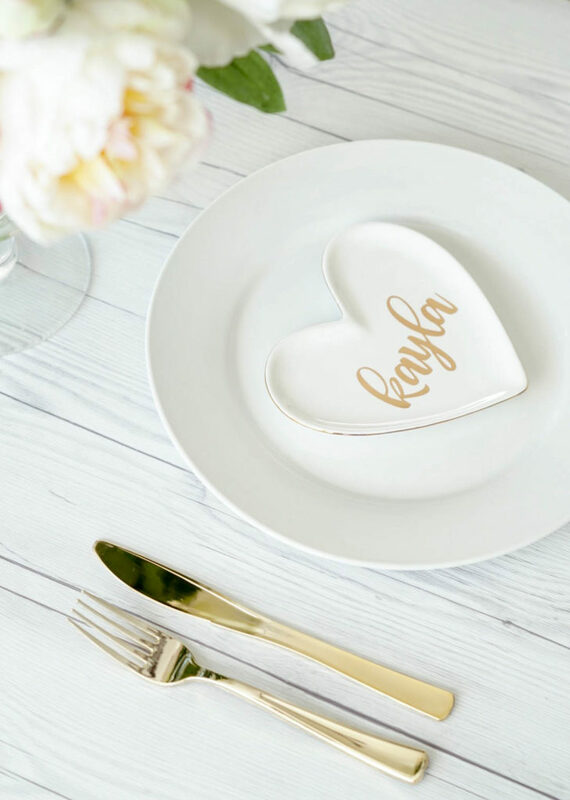 I grabbed the white ceramic hearts from Target’s dollar spot. 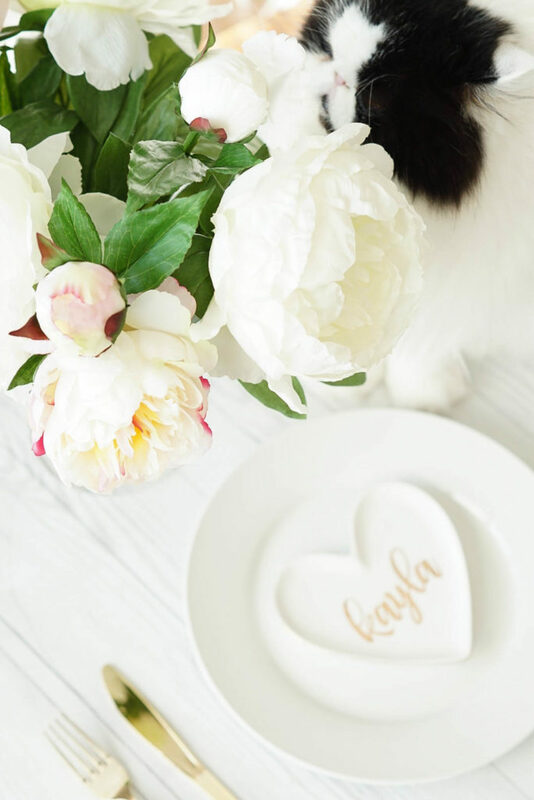 The white dinner plates and faux peonies are from HomeGoods. And, believe it or not, the silverware is plastic and can be found in the party section at Target. Yay for fewer dishes! This is the cutting machine I have and love but any vinyl cutter will work. 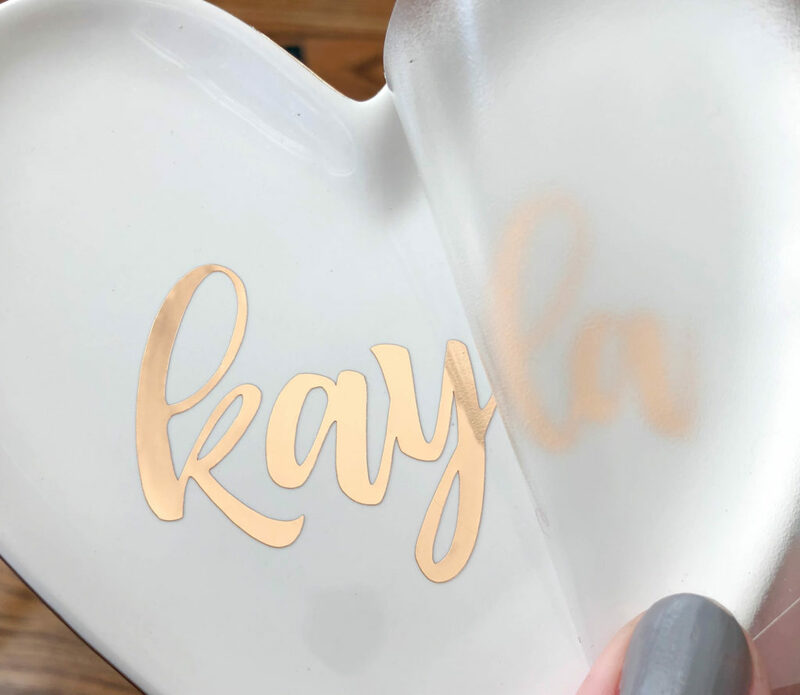 I used this gold chrome vinyl from Expressions for the lettering. The font is bhatoshine. 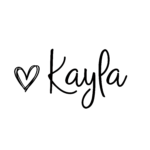 I used Cricut’s free software to set up and cut out my design. The Maker makes is super easy, you just choose the material type on the screen and the machine does the rest. 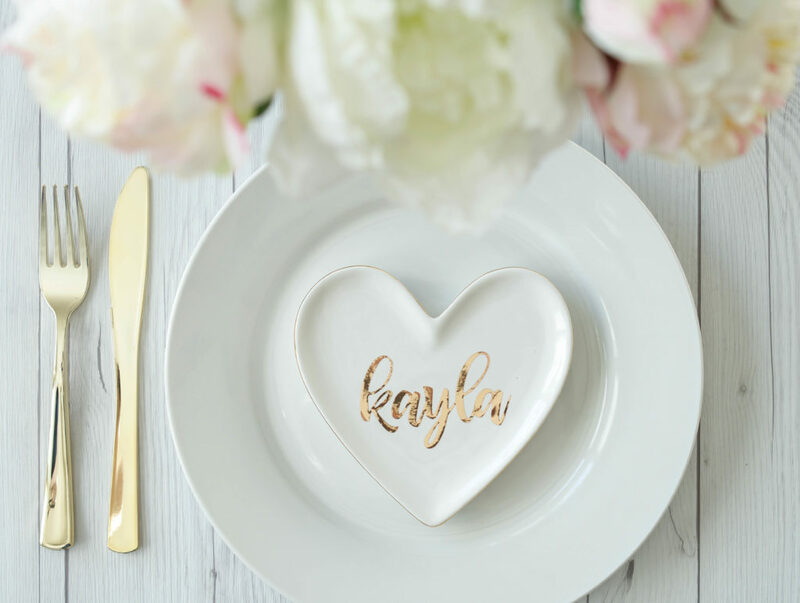 Transfer the gold vinyl decal to the ceramic dish using Expression Vinyl’s opaque transfer tape. 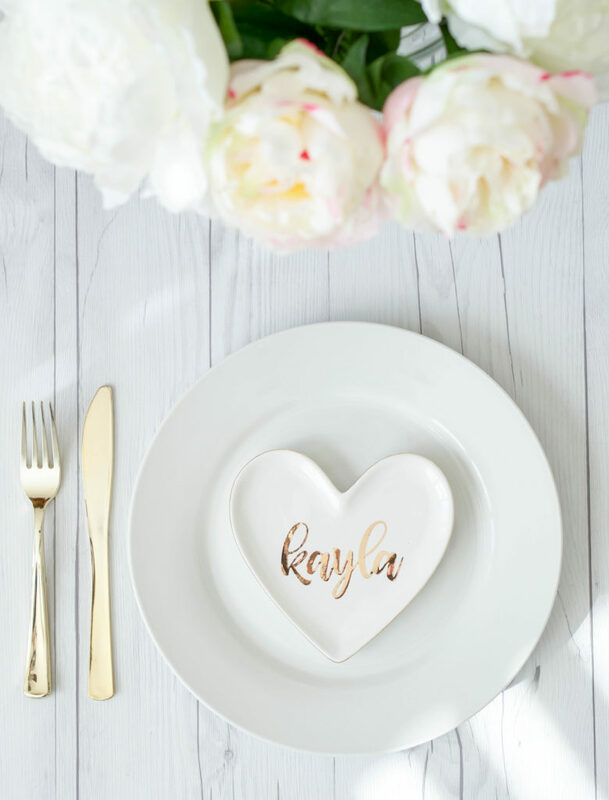 Set the table with your fancy plastic silverware and you’re golden! The only thing I didn’t have ready for my mock setup is a crisp white napkin. When it’s time for the real deal v-day dinner, I will make sure I have some pressed and ready to go. My sweet kitty, Gizmo stopped by while I was shooting photos for this post. 🙂 I guess he thought it was the perfect time to stop and smell the flowers.